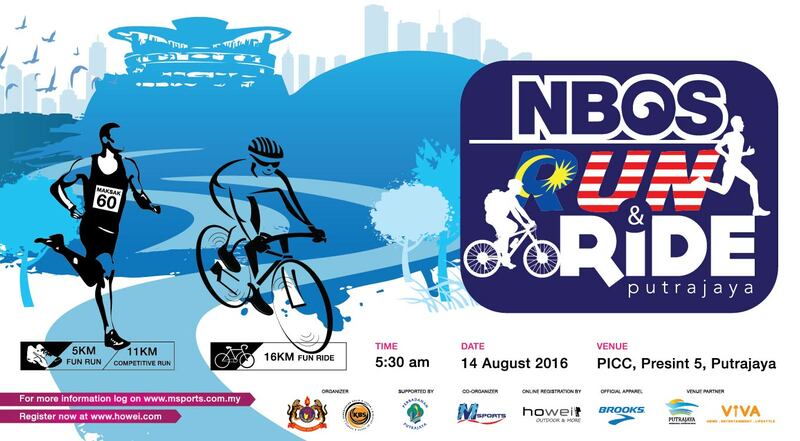 NBOS Run & Ride 2016 is organized by MAKSAK Malaysia on Sunday 14th August 2016 at PICC, Presint 5, Putrajaya. 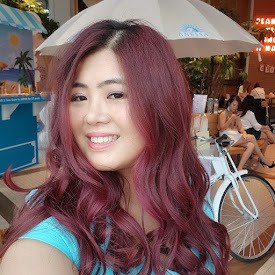 NBOS stands for National Blue Ocean Strategy and it's all about creating niche markets in any industries for business growth which in turn will boost the nation’s economy. 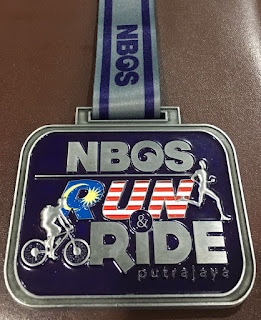 The fun event is supported by Ministry of Youth & Sports, Perbadanan Putrajaya and Persatuan PerkhidmatanTadbir dan Diplomatik. 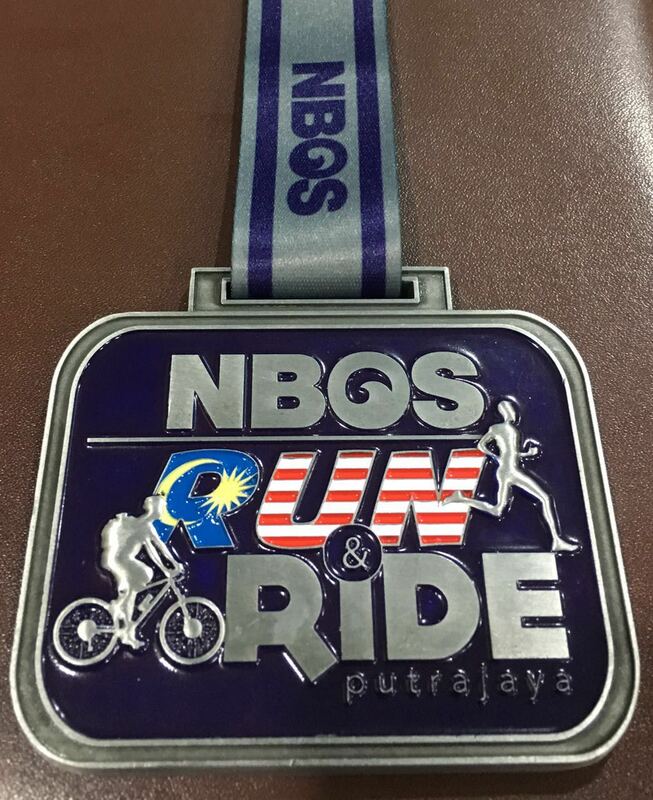 NBOS Run & Ride 2016 is an outdoor sporting event whereby it offers participants, 11km & 5km run or a 16km cycling option. There are a total of 8 categories which are as below. Please note that the eligible age to participate for categories a – g is 16 years and above while participants aged 13 years and above are allowed to participate with the 5km fun run. Free admission for children aged 12 & below but they will NOT be entitled to Brooks T-shirt, Finisher medal, Certificate & snack pack. Parents must take full responsibility and care over their children’s safety. 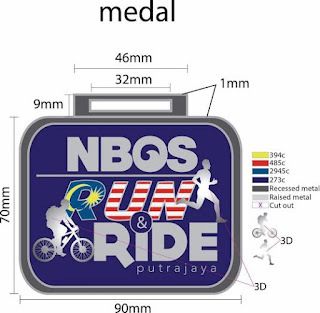 b.A finisher medal, certificate and a snack pack will be given to the participants upon completion of their run or ride. 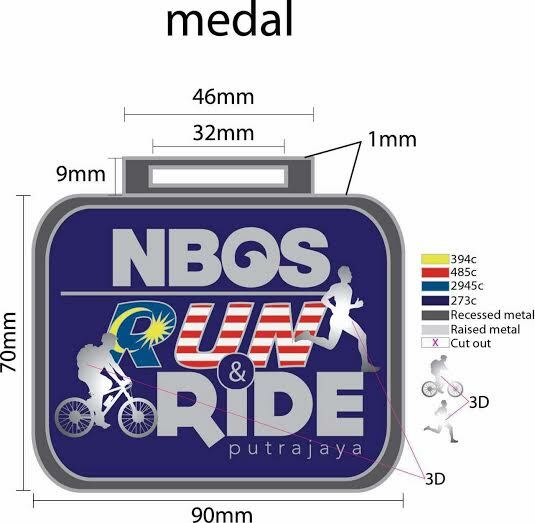 Prizes offered for NBOS Run & Ride 2016 are actually quite attractive considering the joining fee is pretty affordable. I'm thinking to do fun run or fun ride, anyone interested to join me? It is a fun event with carnival atmosphere. The registration will be closed upon reaching 4000 participants or 23rd July 2016. All Fun Ride participants must have a bicycle and helmet. If they do not have a bicycle, then you may arrange to rent a bicycle from the supplier below at your own risk. The organizer will not be responsible for any dispute on the bicycle rental arrangement between supplier and participants. Rental Price : RM 30 – 60.